Описание Almost every company in the international trade business has agents and/or distributors abroad, and is concerned with the management of these networks. 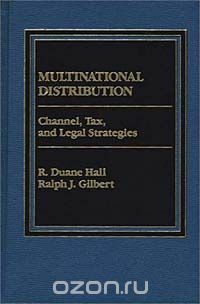 Multinational Distribution is a clear, concise, step-by-step manual describing how to acquire distributors and agents, negotiate agreements with them, evaluate their effectiveness, and manage the many legal and technical problems arising from these arrangements. In addition, the author provides guidelines for dealing with legal matters such as the Foreign Corrupt Practices Act, and for dealing with political Almost every company in the international trade business has agents and/or distributors abroad, and is concerned with the management of these networks. Multinational Distribution is a clear, concise, step-by-step manual describing how to acquire distributors and agents, negotiate agreements with them, evaluate their effectiveness, and manage the many legal and technical problems arising from these arrangements. In addition, the author provides guidelines for dealing with legal matters such as the Foreign Corrupt Practices Act, and for dealing with political problems between countries. Sample agreements are provided, as well as detailed explanations of different financing and collection arrangements.